the south of the north | wow…this is awkward. ← amateur protester? here are some tips…. 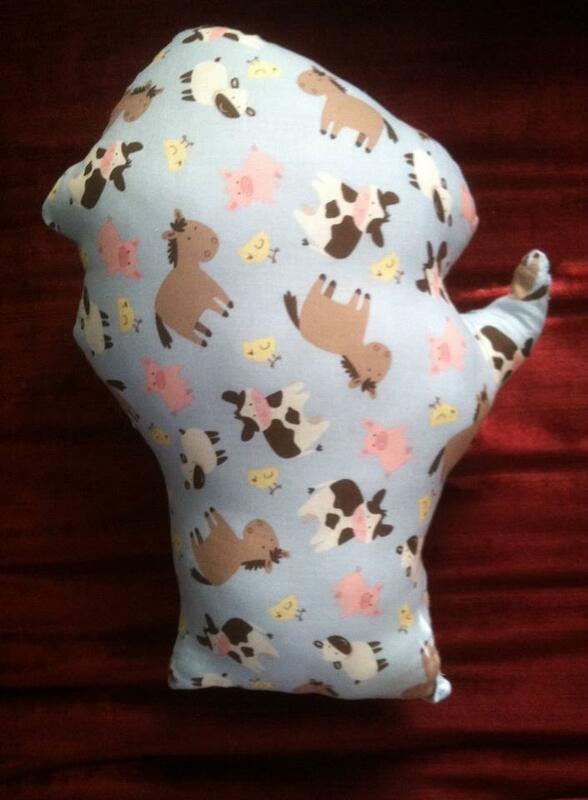 I made a pillow for my nephew to remind him of his heritage. 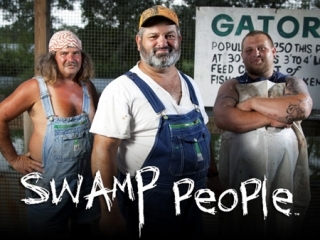 Yes, the stereotype of The South is often skewed: “a mythically rural, white, poorly educated and thickly accented region that has yet to join the 21st century.” Though insulting, there is always a grain of truth in stereotype, and Swamp People, Hillbilly Handfishin’ and Dukes of Hazzard have done little to dispel the myths. The South of The North has similar stereotypes. “Mythically rural?” I take pride in being able to identify the different crops along the rural roads of my home state. “White?” Yep—86% White (sad that there is so little diversity). “Poorly educated?” Perhaps…we are about average. “Thickly accented?” Friends still laugh when I say the word “bag”. Do Wisconsinites do stupid things like handfish or run moonshine like Bo and Luke? Uh, yeah. Dear God, why do you allow bad things like stupid mob shows to exist? Despite the potentially damaging stereotypes of Wisconsin, I wear my Sconnie t-shirt proudly. I was baptized into the religion known as “Green Bay Packers”, and confirmed as a forever fan (who hates Brett Favre, that stupid traitor). I embrace supper clubs, complete with a dish of butter mints on the table. We have a castle (castle!) devoted to cheese. 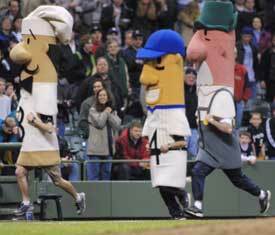 I live for the Sausage Races at Miller Park. I still haven’t found a better fish fry outside my home state. And the mere thought of cream puffs and pigs racing for Oreos at the State Fair make me squeal with delight. I always root for The Polish. Wisconsin is strange. And, like many leaving their home, I had to move out (read: get the hell out) to recognize the strangeness and fall in love with it. 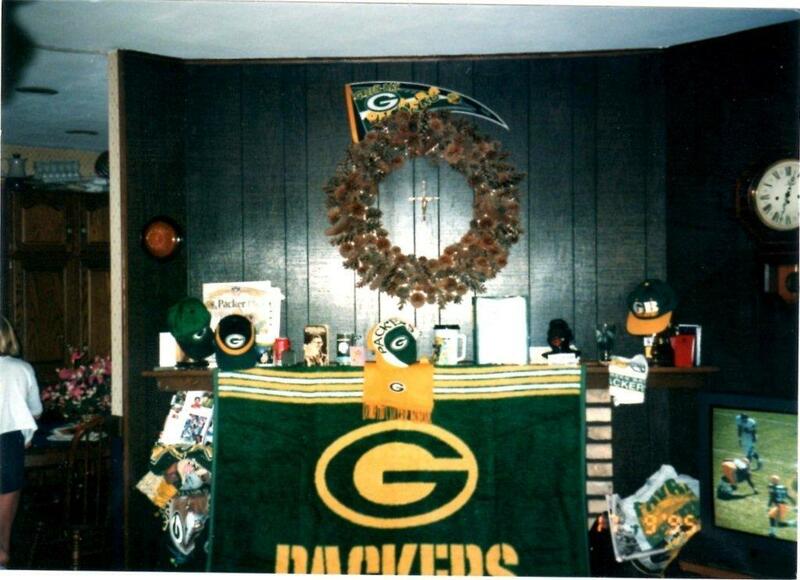 Every Sunday, I made a shrine and worshiped at the altar of the great green and gold. While I never really thought of Wisconsin as strange until long after I left the state, it didn’t take my husband long to recognize its, um, redneck Southern flair. After an evening of gorging on fish or sausage or both, we headed to one of the many local taverns. When we walked into the smoke filled room of beer-bellied, jovial drunks, I felt right at home. He looked down at the ground and shook his head in disbelief. I looked down. The thin maroon carpet was worn and threadbare under the bar stools. Beer, Kessler, vomit, chewing tobacco and urine stains scattered the floor like spots on cowhide. I did not want to imagine the true odor of the carpet surely hidden by the thick cigarette smoke. But, I had never noticed it as strange. I thought about all the other places I have imbibed in Wisconsin. Sure, many were tile or vinyl or hardwood, but many were carpeted in shades of dirty greens, grays, reds and browns. Hell, one place I drank at—Choir Practice (clever name, now demolished)—doubled as someone’s living room. And then I thought of all of the places in Chicago I have been to. None of them had carpet. And why would they? Carpet is disgusting. My husband quickly embraced the dirty carpets in bars. He embraced the cheese, the way I refer to the Green Bay Packers as “we”, the mullets, the Sausage Races and all of the special things that make Wisconsin “The South of The North”—and he too, eventually fell in love with the strangeness and wonder that is the Land of Cheese and Beer. 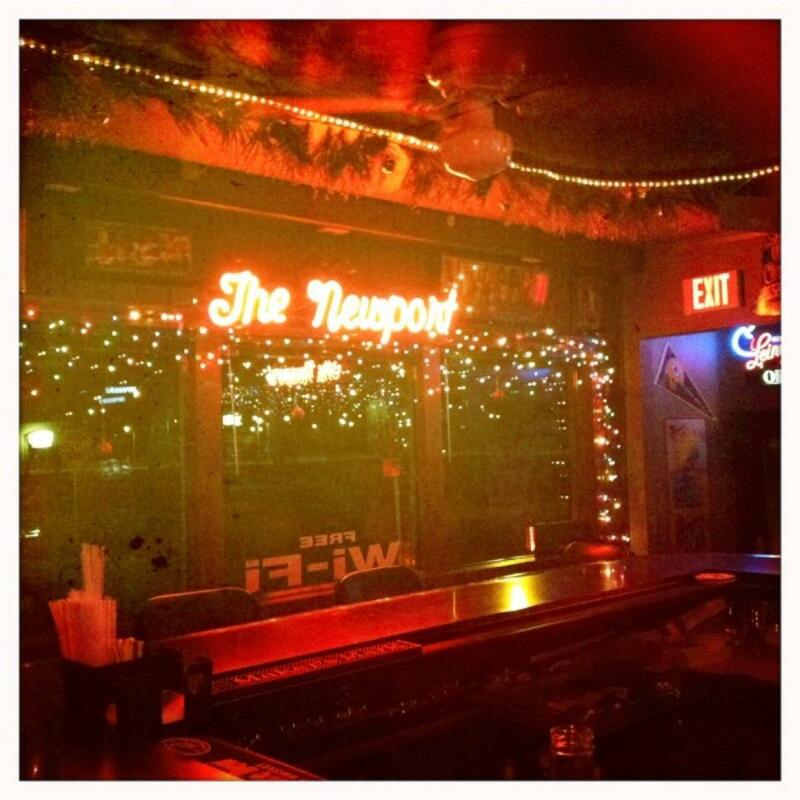 And when we entered Franky’s Newport Lounge on Christmas Eve this past year, the bar strewn with Christmas lights and carpet stains (the odor no longer buried in cigarette smoke since the ban), we toasted to my home state. And carpeted bars. And how much we love The South of The North. 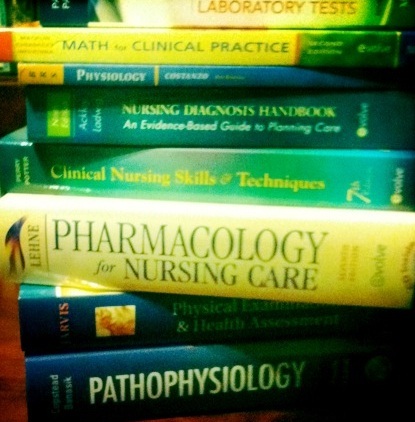 Last week, my third clinical rotation started. During the orientation, my classmates, a nurse, my clinical instructor and I sat around a dark-wooded table in a wing of the hospital that felt more like a fancy hotel conference center than a place to care for the sick and dying. After we took a safety quiz and watched a Powerpoint presentation highlighting the awesomeness of the institution and the people who make the institution great, we headed to the elevators to see where we would be spending the next five weeks. Our instructor told us we would be on a cardiac floor with beautiful views of Lake Michigan. …and the hallways were carpeted. And I thought of all the ill people who may walk the halls, those who may vomit and urinate, the visitors and staff carrying methicillin-resistant Staphylococcus aureus and Clostridium difficile on the bottoms of their shoes. Too bad they don’t serve beer. This entry was posted in Clinicals, nerdery, nursing school, stories and tagged beer, carpet, cheese, Chicago, clinicals, cream puffs, Fish, Green Bay Packers, growing up, hospital, hotel, North, nursing, observations, pig races, sausage, school, South, supper club, tavern, Wisconsin. Bookmark the permalink. Awesome. Just awesome. Seriously, there was carpet in a health care facility? Why? Pingback: i’m back. | wow…this is awkward.